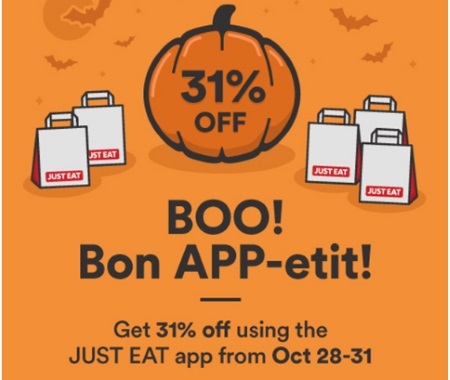 Indulge in some spooky savings this weekend when you order from the JustEat app. JustEat is offering a huge 31% off your food delivery order this weekend! Check your email for the promo code! This is a unique code so I cannot share it here, since I will use it myself! Offer is valid October 28-31, 2016. This promo code can only be used on the JustEat app. Click here to order from JustEat.